The battle of Hudaibiyah took place in 6 A.H., when Nabi SAW with a large number of Sahabah was going to Makkah Mukarramah with the intention of performing 'Umrah. The Quraish came to know of this and decided to prevent them entering Makkah Mukarramah. They also decided to invite the neighbouring tribes of Makkah Mukarramah for help and made all preparations for battle. When Nabi SAW reached Zul Hulaifah, he sent a man to find out about the Quraish. When Nabi SAW reached Asfan, the person returned from Makkah Mukarramah with the news that the Quraish were fully armed and ready to stop Nabi's SAW entry into Makkah Mukarramah and that the neighbouring tribes were also with them. At this, Nabi SAW had a meeting with the famous Sahabah RA about the situation. One idea was to attack the houses of the tribes who had sent their men to help the Quraish so that they might leave the Quraish in order to protect their own homes and another idea was to march straight towards Makkah Mukarramah. Abu Bakr RA said: "O Nabi of Allah! We have come to perform 'Umrah. We have no intention of fighting with the Quraish. Let us go ahead. If they stop us we shall fight, otherwise not." Nabi SAW agreed to the suggestion of Abu Bakr RA and decided to march ahead towards Makkah Mukarramah. When he reached Hudaibiyah, Budail bin Waraqa Khuza'i met him with a group of people. He said: “Under no circumstances will the Quraish permit your entry into Makkah Mukarramah. They are ready for battle." At this, Nabi SAW replied: "We have come to perform 'Umrah only, and have no intention to fight. Many battles have already caused heavy losses on the Quraish. Therefore, if they agree, I am prepared to talk about a no-war agreement with them, so that they do not fight with me and I may deal with others. However, if the Quraish do not accept this suggestion, then by Him who holds my life in His hand, I will fight them till at last either Islam succeeds or I am made shahid." Budail returned to the Quraish and explained to them what Nabi SAW had told him. They did not agree to the peace agreement of Nabi SAW. Meetings between the two sides however continued, and at one time Urwah bin Mas'ood Thaqafi was sent by Quraish for discussions. Urwah had not until then accepted Islam. Nabi SAW talked to him in the same way as he had done with Budail. The well in Hudaibiyya, , where the pilgrims have their water supply during their encampment. 'Urwah said: "O Muhammad, If you want to kill all the Arabs you cannot possibly do so, as none before you has ever succeeded in putting an end to all the Arabs. On the other hand if the Arabs are victorious over you, then take it from me that these people around you will disappear in no time, leaving you all alone, for I don't find any people of high birth among them. In fact they are all from a low class, coming from all corners, who will leave you in times of trouble." Abu Bakr RA, who standing close by, was very angry at this statement, and angrily told 'Urwah: "Go and please your goddess Lat'! We will never run away and leave Nabi SAW by himself." 'Urwah asked: "Who is he?" Nabi SAW: "He is Abu Bakr." 'Urwah: "Abu Bakr! I am thankful to you for a favour you have done to me in the past. If it was not for this, I would have replied to you." 'Urwah then continued his discussion with Nabi SAW. According to the Arab custom, 'Urwah occasionally touched the beard of Nabi SAW as he talked. The Sahabah could not bear this. Accordingly, 'Urwah's own nephew Mughirah bin Shu'bah ,who was standing armed nearby, struck Urwah's hand with the handle of his sword and said: "Keep your hand away." Nabi SAW :"He is Mughirah. " 'Urwah: "Oh! You traitor! How dare you hurt your uncle, who is still suffering because of your crimes?" (Before Islam, Mughirah had killed a few persons. Urwah paid the blood money on his behalf, and was referring to this). During his long talk with Nabi SAW, 'Urwah had been quietly watching the behaviour of the Sahabah towards Nabi SAW; so when he returned to the Quraish he said to them: "O, Quraish! I have been sent to many great kings. I have seen the palaces of Caesar, Chosroes and Negus. By Allah! Nowhere have I seen the people around a king so respectful to him as I found the friends of Muhammad SAW. Remnant of Hudaibiya Mosque built by The Ottoman Empire. When Muhammad SAW spits, they rush to receive the saliva in their hands before it touches the ground and wipe their faces with it. When he asks for something all of them run to carry out his wish. When he makes Wudhu, they fight with one another to collect some drop of the used water before it falls to the ground. If anyone fails to get that water, he touches the wet hands of the person who had got it and then rubs his hands on his own face. When they speak in his presence, they speak softly. They do not lift their eyes to look at his face, out of respect for him. A hair falling from his head or beard is kept safely to get blessings from it and is seen as very holy. In short, I have never seen any group of people as loving to their master as I have seen the companions of Muhammad SAW towards him." Finally, Uthman RA was ordered by Nabi SAW to talk with the Quraish, as he, in spite of his accepting Islam, was respected by them. When 'Uthmaan had left for Makkah Mukarramah, some of the Sahabah wished for 'Uthman’s good luck, as they thought that he will be able to perform Tawaf of the house of Allah SWT. Nabi SAW on the other hand said: "I do not think that 'Uthman will ever like to do Tawaf without me." However, when 'Uthman RA entered Makkah Mukarramah, Abaan Bin Sa'eed protected him and said to him: "You can move around freely. Nobody can touch you." "While you are here at Makkah Mukarramah, you can perform Tawaf before you return." He replied: "How can it be possible for me when Nabi SAW has been prevented by you people from entering Makkah Mukarramah." Hudaibiyah Mosque built by the Saudi Government - Location of Miqat for Haj and Umrah. This reply was not liked by the Quraish and they decided to detain 'Uthman RA at Makkah Mukarramah. News reached the Muslims that 'Uthman RA had been killed. On receiving this news, Nabi SAW took an oath of from all the Sahabah to fight to the last drop of their blood. When the Quraish learnt of this, they got frightened and immediately released 'Uthman RA. In this story, Abu Bakr's RA shouting at 'Urwah, Mughirah’s treatment of his uncle, the Sahabah's behaviour towards Nabi SAW, as told by 'Urwah, and 'Uthman's refusing to do Tawaf without Nabi SAW, all show clearly the love of Sahabah for Nabi SAW. The oath mentioned in this story is known as Bai'atush Shajarah (The Oath under the tree) and is mentioned in the Quraan (S48 : V18). The Treaty of Hudaibiyah – from many perspective of the non -believers -Orientalists perception and the haters of Abu Bakar RA, Umar RA and companions. ACCORDING TO THE MUSLIM TRADITION, the Kaaba in Makkah was built by the Prophets Abraham AS and his son, Ismael AS. They consecrated it as the spiritual center of the world of the monotheists. And now Kaaba was the "Qibla" of the Muslims which means that they had to turn toward it when offering their prayers. But the custodians of the Kaaba were the idolaters of Makkah, and they were using it as the national pantheon of polytheism, housing in it 360 idols of their tribes. By ancient Arab custom, everyone was free to visit the Kaaba – unarmed. Also, by ancient custom, fighting of any kind was prohibited during the four sacred months of the year. One of these months was Zilqa'ada, the 11th month of the calendar. The Muslims longed to see what for them was the House of God. Therefore, in Zulqa'ada of the sixth year after the Migration, their Prophet SAW declared that he would visit Makkah to perform Umra or the Lesser Pilgrimage – unarmed but with his followers. With this intent, he left Medina in late February A.D. 628 with 1400 of his followers. They had taken camels and other animals for sacrifice but no weapons except their swords. When this caravan of the pilgrims reached the outskirts of Makkah, the Prophet SAW was informed that the idolaters would not allow him to enter the city, and that, they would use force to prevent him from doing so. This report caused great agitation among the Muslims. They halted near a well in a place called Hudaibiyah in the north of Makkah. The Prophet SAW sent a message to the Quraysh that he wished only to make the customary seven circuits of the Kaaba, sacrifice the animals, and then return to Medina, with his followers. The Quraish did not agree. Many other messages were sent but the Quraysh said that they would not admit the Muslims into Makkah. Eventually, the Prophet SAW ordered Umar bin al-Khattab RA to go to Makkah to explain to the idolaters the purpose of the visit of the Muslims, to assure them that they (the Muslims) had no intention of fighting against anyone, and to give them a pledge that after performing the rites of Umra they would leave Makkah immediately and would return to Medina. But Umar RA refused to go. He said that there was no one in Makkah to protect him. He suggested, however, that the Prophet ought to send Uthman bin Affan RA with his message to Makkah since the idolaters would not do him any harm. The first messenger from the Muslim camp to Mecca, a convert from the Bani Khozaa, the Qoraish had seized and treated roughly; they maimed the Prophet's camel on which he rode, and even threatened his life. But the feeling was now more pacific, and Mohammed SAW desired Umar RA to proceed to Mecca as his ambassador. Umar RA excused himself on account of the personal enmity of the Quraish towards him; he had, moreover, no influential relatives in the city who could shield him from danger; and he pointed to Othman as a fitter envoy. Umar RA did not go to Makkah. Nevertheless, he solved the problem by producing his stand-in, Uthman bin Affan RA. Instead of him, therefore, Uthman RA was sent to Makkah to parley with the Quraysh. Like Umar RA himself, Uthman RA also was not stained with any pagan blood. The idolaters welcomed Uthman RA and told him that he was free to perform the Umra. But he said that he alone could not perform Umra, and that they had to admit the Prophet SAW and all the Muslims with him, into the city. This was not acceptable to the Quraish, and it was reported that they had arrested him. It was even rumored that they had killed him. When the rumors of Uthman's execution reached the Prophet SAW, he construed the action of the Quraish as an ultimatum, and asked the Muslims to renew their pledge of fealty to him. 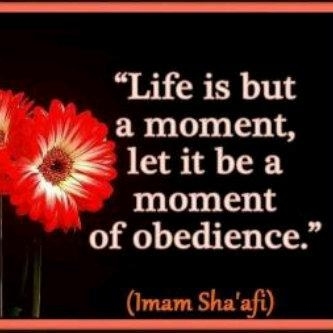 All Muslims pledged their obedience to the Messenger of God regardless of the events which might take place thenceforth. This pledge is called the "Pledge of Ridhwan" or the "Covenant of Fealty," and those Muslims who gave it, are called the "Companions of the Tree," because the Prophet of Islam stood under a tree as they filed past him renewing their oath of allegiance to him. Their numbers are given as 1400. The resolution of the Muslims to dare the consequences appears to have put the Quraish in a more reasonable frame of mind, as they realized that their intransigence could lead to unnecessary bloodshed. Uthman RA , it turned out, had not been killed as it had been rumored but had only been arrested, and now they released him – an act reflecting a change in their attitude. 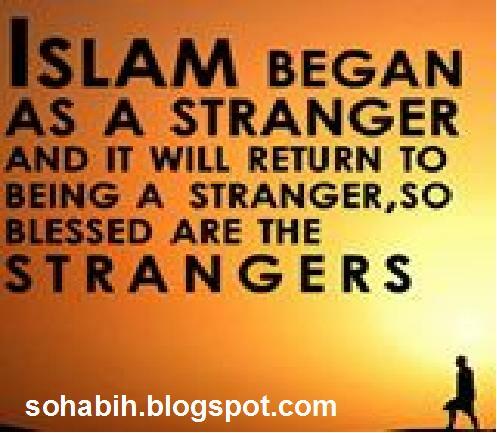 Also reflective of this change was the selection by them of one, Suhayl bin Amr, whom they sent to the camp of the Muslims to conclude a treaty with the Prophet of Islam. Suhayl was a man known to be a skillful but not an inflexible negotiator. 1. Muhammad SAW and his followers would return to Medina without performing Umra (the Lesser Pilgrimage) of the current year. 2. There would be peace between the Muslims and the Quraish for a period of ten years from the date of the signing of the treaty. 3. If any Makkan accepts Islam and seeks sanctuary with the Muslims in Medina, they would extradite him to Makkah. But if a Muslim, fleeing from Medina, seeks sanctuary with the pagans in Makkah, they would not extradite him. 4. All the tribes of Arabia would be free to enter into treaty relations with any party – the Muslims or the Quraish. The Muslims would visit Makkah to perform the pilgrimage in the following year but they would not stay in the city for more than three days, and the only weapons which they would be allowed to bring with them, would be their swords in the scabbards. 6.This treaty is called the Treaty of Hudaibiyya. 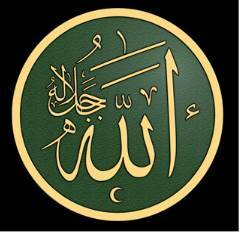 It is the most important political document in the history of Islam. The secretary selected to indite its terms was Ali ibn Abi Talib. When the Treaty of Hudaibiyya was being indited, an incident took place which throws a revealing sidelight upon the character of the various protagonists engaged in drafting its terms. Dictating to Ali RA the Prophet SAW said: "Write, In the name of Allah, the Most Merciful, the Most Beneficent." Suhayl, the Makkan envoy, at once raised objection, and said, "Do not write this. Instead, write, ‘In Thy name O Allah.'" The Prophet SAW complied with this demand. The Prophet SAW next asked Ali RA to write: "This is a treaty of peace between Muhammad SAW, the Messenger of God and the Quraish..." Suhayl again objected, and said: "If we had acknowledged you a messenger of God, why would we be fighting against you? Therefore, do not write the words, ‘the Messenger of God,' and write only your own name and the name of your father." The Prophet SAW was agreeable to comply with this demand also but Ali RA had already written the words, "Muhammad, the Messenger of God," and he refused to delete them. He said to his master: "This high rank has been bestowed upon you by Allah Himself, and I shall never delete the words ‘Messenger of Allah' with my hand." There upon, the Prophet SAW took the pen in his own hand, and deleted the words which were offensive to the idolaters. The Treaty of HudaIbiyya was signed on two copies, one for each party. The original of the Treaty of Hudaibiyya was retained by Mohammed SAW, while the duplicate was handed to Suheil for safekeeping in the archives of Mecca. In Makkah the leaders of the Quraish hailed the Treaty of Hudaibiyya as a triumph of their diplomacy. They assumed that Muhammad SAW had at last been outmaneuvered, and that the treaty was tantamount to, even if it was not a formal declaration of, "surrender." The Quraish gloated over what they fancied to be the surrender of the enemy but events were soon to show that they were wrong. Far from being a surrender, the Treaty of Hudaibiyya was one of the greatest triumphs of Islam. Umar RA : Is he (Muhammad) or is he not the Messenger of God? Abu Bakr RA : Yes. He is the Messenger of God. UmarRA : Are we or are we not Muslims? Umar RA: If we are, then why are we surrendering to the pagans in a matter relating to our faith? Abu Bakr RA: He is God's Messenger, and you must not meddle in this matter. But Umar's RA defiance only escalated another notch after the admonition by Abu Bakr RA, and he went to see the Prophet himself. He later said: "I went into the presence of the Prophet SAW, and asked him: ‘Are you not the Messenger of God?' He answered, ‘Yes, I am.' I again asked: ‘Are we Muslims not right, and are the polytheists not wrong?' He replied: ‘Yes, that is so.' I further asked: ‘Then why are we showing so much weakness to them? After all we have an army. Why are we making peace with them?' He said: ‘I am the Messenger of God, and I do whatever He commands me to do.'" But it appears that Umar RA was not satisfied even with the answers of the Prophet SAW himself to his questions. The terms of the Treaty of Hudaibiyya had generated grave doubts in his mind, so he said: "I repeatedly questioned the Prophet SAW regarding the terms of this treaty, and I had never before talked with him in this manner." Umar and some others were angry at the idea of treating with these pagans. The future caliph came to upbraid the Prophet SAW. He declared later that if he had a hundred men on his side, he would have seceded. But Muhammad SAW was immovable. Most of the pilgrims, and Omar RA especially, were deeply mortified that Mohammed SAW had given in to the Quraishites on practically every point. It seemed incredible to them that, after being brought all this way by their leader who had not been afraid to pursue an enemy which had defeated him, they should be halted outside their objective. It seemed even more incredible that he should humiliate himself before the Meccan envoy to the extent of neither calling his God by His rightful name nor using his own title, merely because the infidel had so demanded. Omar RA went as far as to ask: "Are you really God's messenger?" Omar RA went to see what the other Muslims felt. He found them much in the same frame of mind as he. For the first time since Islam had come into being, there were signs of revolt. Umar RA declared later that ever since he accepted Islam, he had never had such doubts about the truthfulness of Muhammad as he had on the day the Treaty of Hudaibiyya was signed. This means that Umar RA was assailed by doubts from time to time about the truthfulness of Muhammad and his prophetic mission. He probably repressed them each time when they surfaced. But at the touchstone issue of the Treaty of Hudaibiyya, his chronic doubts erupted with such terrific force that he could not suppress them. Haunted by his doubts, he actually considered leaving the fraternity of Islam itself but could not find anyone in the camp who would give him moral support in his "enterprise." The traditional Sunni line has been that in showing defiance and insolence to Muhammad Mustafa, the Messenger of Allah (may Allah bless him and his Ahlul-Bait), Umar was RA prompted by his love of Islam. According to them, he loved Islam so much that he was "carried away." Earlier, he had refused to obey the Prophet's order to carry a message to the Quraish in Makkah. That refusal, probably, was also prompted by the same love. Those people who attribute Umar's histrionics to his love for Islam, are, in fact, suggesting that he loved Islam more than Muhammad, the Prophet of Islam, himself did! Also, by his conduct, he was suggesting that God's Messenger was wrong in seeking peace with the Quraysh but he himself was right, and that it was his duty to "correct" him (Muhammad Mustafa). Only a day or so earlier, Umar RA had taken an oath to "obey the Messenger of God" through thick and thin, in peace and in war, in prosperity and in adversity. It was perhaps this pledge that impelled him to show himself more "royalist" than the "king" himself! If it is a coincidence that both the Quraish in Makkah, and Umar RA and his supporters in the Muslim camp, read in the Treaty of Hudaibiyya, the "surrender" of the Muslims, then it was truly remarkable. But if Umar's saber-rattling that day had led to a showdown with the Quraish, then one can surmise what part he would have played in it, judging by his own "track record" both before and after. The anxieties endured by the Muslims at Hudaibiyya are emphasized by the way in which those days of suspense remained etched on their memories. Many years after, when the Muslim armies had already built up a great empire, when veteran comrades spoke of the early days, the deepest respect was always shown to the men who had fought at Badr and to those who had taken the oath at Hudaibiyya – the two most tense crises of the rise of Islam. There was no one among all the companions of Muhammad Mustafa who acquitted himself so honorably, both in the battle of Badr and at Hudaybiyya, and in fact, in all the critical moments in the history of Islam, as Ali ibn Abi Talib RA. In the past, he had shown himself to be the first in war; in Hudaibiyya everyone saw that he was also the first in peace. He had demonstrated many times in war that he had absolute trust in Muhammad SAW and his mission, and now he was demonstrating in peace that there was nothing that could ever shake his faith in his master. After the departure of the Makkan emissaries, the Prophet SAW ordered the Muslims to shave their heads and to offer their animals as sacrifice, as rites of Umra. But he was shocked to notice that many of them were in a rebellious mood and did not want to obey his commands. What actually had happened was that Umar RA had publicly defied the Apostle of God, and by his example, he had encouraged his followers also to do the same. The Apostle entered his tent, and told his wife that the Muslims were disobeying his orders. She said that if he ignored them, and performed the operations himself, they would follow him. The Muslims were sulkily silent when told by him (the Prophet) to shave their heads and offer their sacrifices. At last (by the advice of his wife, Umm Salamah RA), he performed the operations himself, and his followers did the same. It was the Treaty of Hudaibiyya that the new revelation called "The Manifest Victory." Amin Dawidar, the Egyptian historian, writes in his book Pictures From the Life of the Prophet (Cairo, 1968, p. 465) that when the Messenger of God promulgated this latest revelation called "Victory," Umar bin al-Khattab RA came to see him, and asked: "Is this what you call a Manifest Victory?" "Yes," said the Messenger of God, "by Him in Whose hands is my life, this is the Manifest Victory." The Treaty of Hudaibiyya was truly the "Manifest Victory" as the unfolding drama of history was to reveal, notwithstanding the reservations about it of many Muslims in the camp of the Prophet. 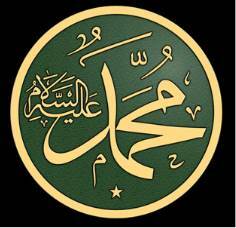 Muhammad Mustafa was the Apostle of Peace. If he had yielded to the pressures of the few follwers in his camp to use strong-arm methods, his whole mission would have been compromised, and the generations of the future would have indicted him for his love of "aggression." But he resisted pressures to appeal to the arbitration of arms, and instead, appealed to the arbitration of peace, and achieved results which no military victory could have gained. 1. The Quraish of Makkah acknowledged Muhammad as an equal. Heretofore, they had considered him a rebel and a fugitive from their vengeance. 2. By signing the treaty, the Quraish gave tacit recognition to the nascent Islamic State of Medina. 3. Those Muslims who were in Makkah, concealed their faith from the idolaters for fear of persecution by them. But after the Treaty of Hudaybiyya, they began to practice Islam publicly. 4. Till 6 A.H., Muhammad, the Messenger of God, had been locked up in a ceaseless struggle with the pagan Arabs and the Jews, and there had been no opportunity for them to see Islam in action. After the Treaty of Hudaibiyya, they could "appraise" Islam for the first time. This "appraisal" led to the conversion of many of them, and Islam began to spread rapidly. The Treaty of Hudaibiyya opened the gates of proselytization. 5. Many Arab tribes, though still heathen, wanted to enter into treaty relations with the Muslims but felt inhibited by the opposition of the Quraish. Now they were freed to make alliances with the Muslims. 6. The Treaty of Hudaibiyya is the best answer to those critics who allege that Islam was spread on the point of the sword. There is no better proof than this Treaty of the repudiation, by Muhammad, of war, as an instrument of policy, and of his genuine love of peace. The pagan Arabs were strongly influenced by the Quraishite propaganda that Muhammad SAW lusted for war. Now they could see with their own eyes that Muhammad SAW retired to Medina without even a "quid pro quo," even though he had an army with him, and even though he had defeated the Quraish twice – in 624 and 627. The Treaty of Hudaibiyya also points up the aversion of Qur’an for war. Before the treaty, the Muslims had won the two historic battles of Badr and Ahzab (Trench). If they had been defeated in either of them, Islam would have vanished for all time from the face of the earth. Victory in both of these battles guaranteed the physical survival of Islam. And yet, Al-Qur’an al-Majid didn't call either of them a manifest victory. In the sight of Qur’an, among all the campaigns of Muhammad SAW, the Treaty of Hudaibiyya alone was the Manifest Victory. The Treaty of Hudaibiyya was the prelude to the victory of Islam over the forces of paganism, polytheism, idolatry, ignorance, injustice and exploitation. Umar bin al-Khattab RA had bridled at the third clause of the Treaty since it was not reciprocal; but it was precisely this clause that put the Quraish on the defensive almost immediately, and they came a-begging to the Prophet to repeal it. Eighteen months after the signing of the Treaty of Hudaibiyya, Muhammad SAW, the Messenger of God, marched into Makkah, as a conqueror, and he was accompanied by ten thousand believers. The conquest of Makkah was a direct result of this Treaty. Because of these results, many historians have rightly called the Treaty of HudaIbiyya the tour de force of Muhammad's SAW statesmanship. Two important principles of Islam can be seen in their application in the Treaty of Hudaibiyya, viz.